Researchers have made a major discovery into one of the most physically taxing and misunderstood diseases facing Americans and people around the world. Since its discovery, Parkinson’s disease has baffled most doctors. There is no cure for the condition and until recently, it was unknown what caused it and how, or if, it could be cured or prevented. Currently, there are medications and methods to control the condition, but generally speaking, people with Parkinson’s have little hope of avoiding the difficulties it creates and its degenerative effects. Parkinson’s affects more than half a million people in the United States, most notably the well-known actor and Parkinson’s advocate, Michael J. Fox. Following Fox’s career, it becomes clear what Parkinson’s does and how it can quickly change a person’s life. Ultimately, Parkinson’s takes over a person’s ability to control their body. It is a degenerative condition that attacks nerve cells in the brain by releasing dopamine, a chemical responsible for movement. Symptoms often include seemingly spastic movements, like head nods and trembling, which worsen over time, leading to a patient’s inability to walk, talk, or even perform basic daily tasks that many of us take for granted. 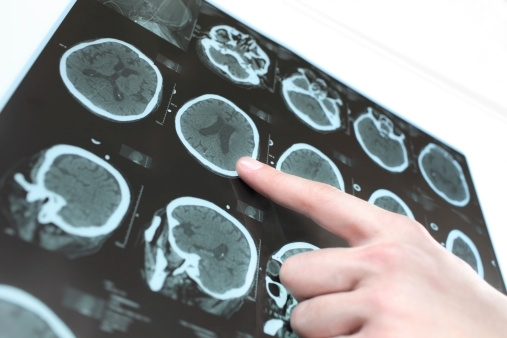 But now there may be more hope for Parkinson’s patients. According to new research, partially funded by the National Institutes of Health, a genetic mutation can lead to the proliferation of Parkinson’s disease. The identification of this mutation could greatly alter treatment techniques and provide the information required to limit the severity and scope of the condition in a large number of cases. For the past decade, doctors have recognized a potential link between LRRK2 mutations and Parkinson’s; now, they seem to know what that relationship is and how it works. These researchers believe that they’ve found the cause of the most common form of genetic mutation of Parkinson’s. They noticed mutations in a gene called leucine-rich repeat kinase 2, or LRRK2, which lead to the overproduction of certain proteins causing cell death. According to the research, LRRK2 tags ribosomal proteins that help manufacture other proteins inside cells. Once tagged, these proteins help regulate basic nerve cell function and health; these cells also become phosphorylated. However, as mentioned above, mutations in the way LRRK2 tagged two certain ribosomal proteins (s11 and s15) lead to the overproduction of proteins, cell death, and ultimately, Parkinson’s. In the experiment, patients with more LRRK2 mutations tended to have higher levels of phosphorylated s15 than those patients in the control group. Next, the researchers looked at how phosphorylation was linked to cell death. They genetically engineered cells to have mutant LRRK2 genes and found that this increased cell death by overproducing phosphorylated s15. They also genetically engineered a mutant phosphorylated s15 ribosome protein that could not be tagged by LRRK2 and noticed it prevented cell death. This indicates that the s15 ribosome protein may play a critical role in the development of Parkinson’s. If it can become resistant to the mutant LRRK2 gene, it’s likely to prevent Parkinson’s by limiting cell death. Now scientists have to come up with a way to block the phosphorylation of s15 ribosomal proteins to keep cells healthy, functional, and strong. This is a very exciting development that could mean big things for the treatment and prevention of this extremely debilitating condition. Although there is no way to prevent Parkinson’s at this time, you can try and strengthen the mind-muscle connection, as well as your muscle control, by adopting a workout routine. Exercise can offer a multitude of health benefits, and the delayed onset of Parkinson’s is one of them. “Too much protein may kill brain cells as Parkinson’s progresses,” National Institutes of Health web site, April 10, 2014; http://www.nih.gov/news/health/apr2014/ninds-10.htm.